1. The Oscillating Haul-Off Unit provides a better gauge randomization by spreading gauge irregularities formed both in the melt between the die face and frost line and in the film up through the collapsing frame. 2. 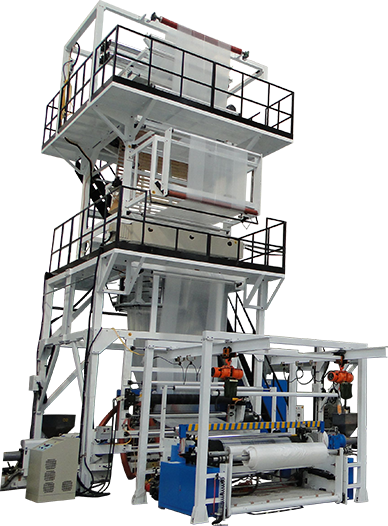 The TL series has 3 extruders to process multilayer film. 3. 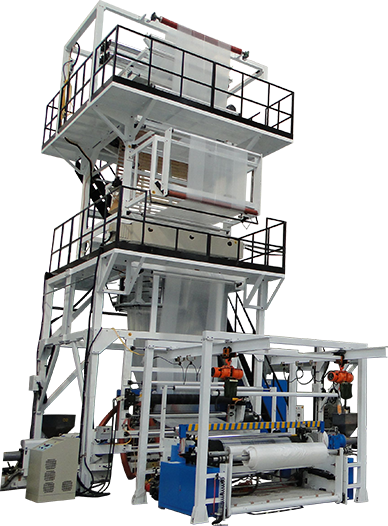 The automatic surface type winder produces high quality film roll with even edges and consistent hardness. 4. The Edge Guide is used to keep the edge of the film perfectly in line.